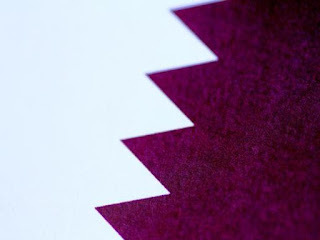 Doha [Qatar]: Qatar's Foreign Ministry on Monday said that the country regrets the decision of Saudi Arabia, Bahrain, the United Arab Emirates' and Egypt to cut off diplomatic ties with it. "The measures are unjustified and are based on claims and allegations that have no basis in fact," Al-Jazeera quoted the Qatar Foreign Ministry as saying in a statement. The ministry added that the decision taken by the four Gulf nations would not affect the normal lives of its citizens and residents. This comes after Saudi Arabia, the United Arab Emirates, Egypt and Bahrain broke off their diplomatic ties and all land sea and air contacts with fellow Gulf Arab state Qatar over allegations that the latter is encouraging terrorism and extremism. Riyadh has accused Qatar of backing terrorism and extremism, while Bahrain has charged Qatar with interfering in it internal affairs. Saudi Arabia said the move was necessary to protect the kingdom from what it described as terrorism and extremism. Bahrain's Foreign Affairs Ministry issued a statement that it would withdraw its diplomatic mission from Doha within 48 hours and that all Qatari diplomats should leave Bahrain within the same period. The ministry's statement said Qatari citizens needed to leave Bahrain within two weeks and that air and sea traffic between the two countries would be halted. It wasn't immediately clear how that would affect Qatar Airways, one of the region's major long-haul carriers. Egypt also announced the closure of its airspace and seaports for all Qatari transportation to protect its national security.